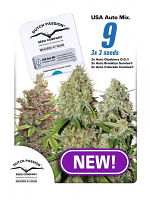 Black Russian Feminized Cannabis Seeds by Delicious Seeds: The Black Russian strain has potent medicinal effects resulting from crossing a White Russian with a spectacular Black Domina mother which enhances the organoleptic qualities of the Russian, improving its structure, and, of course, its taste and smell. 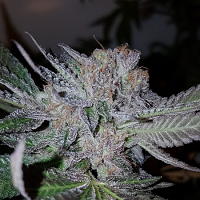 The Domina mother used for this strain is a real jewel and well known among the best growers across Spain. 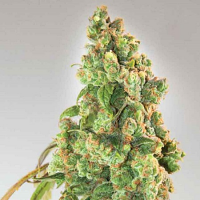 Its descendants are really impressive; compact plants yet well-branched (especially outdoors) making it one of the great Indica yielders. 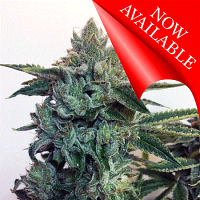 Furthermore, it offers a salad of tastes and smells ranging from tropical fruit to hints of sweet aromatic candy.